A highly entertaining evening of craft cocktails and sophisticated sleight of hand. Craft Illusions is a formal close up performance combining Brandon’s two passions. His show is delightful, entertaining, witty, and fun. His contact with the audience, sitting at his elbow, is personable. 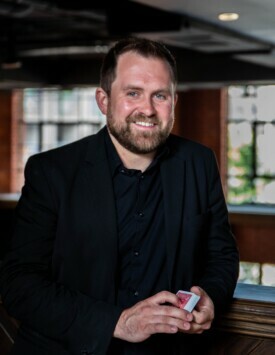 Magic, for the magician, is hard work and hours of training, just like for any performing artist, and you can’t find a better entertainment value than Brandon’s show.” – Stephen F.